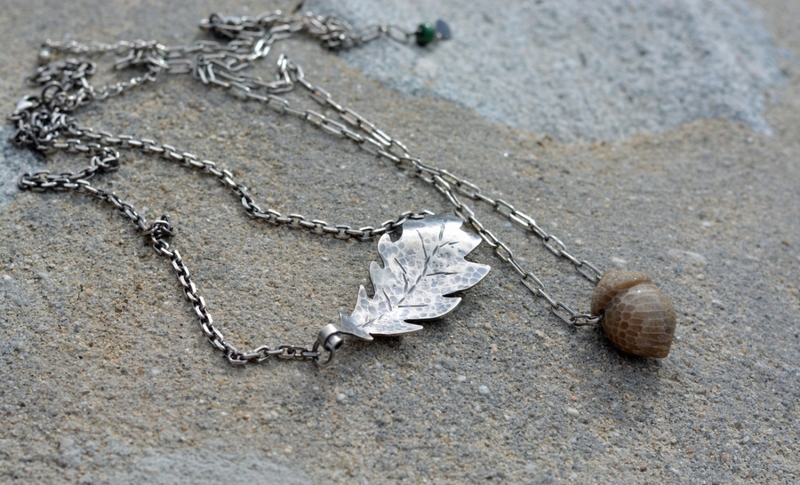 A forged silver oak leaf from my studio is the star in this simply beautiful pendant. The leaf is about 2 inches long from stem to tip. I soldered a little ring on the back so that the form would not be interrupted. The chain is sterling silver and has facets so it sparkles and catches the light even with the lovely patina I applied and polished off the high points. Adjustable from 17-19 inches with a lobster clasp. 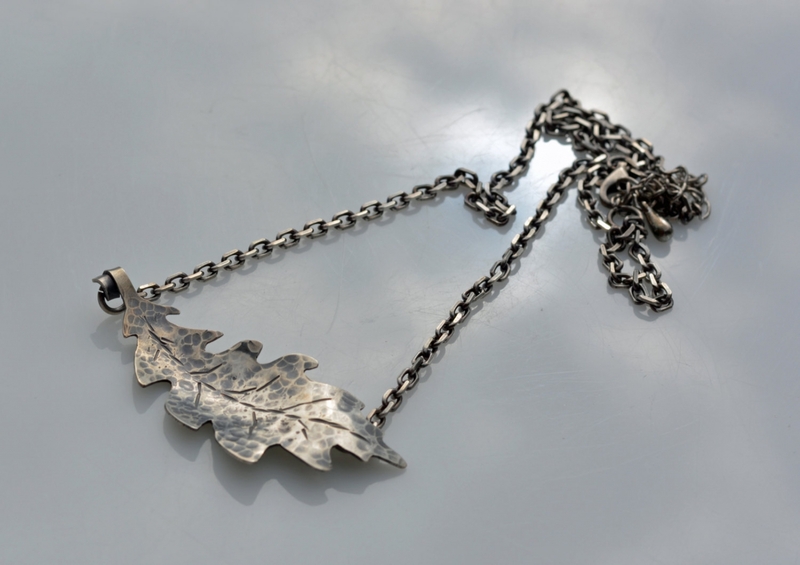 Celebrate your love for nature simply with this silver leaf necklace. Great gift as most will love! My new acorn necklace looks so good with it I thought about offering them together, but decided against it since someone may want one or the other. So until one of them sells they're both available. The favosite coral acorn is available here.